The end of the year is almost here, and your shop may be thinking of new equipment purchases either as a way to capitalize on some last-minute tax benefits or as a forward-looking plan for 2019’s budget. One of the big equipment purchases shops consider is a CNC router. 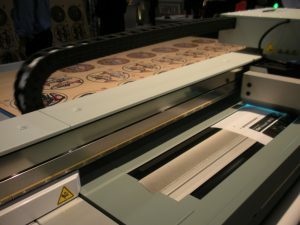 This computer-controlled cutting machine that can handle all types of materials including wood, metals, and plastics. Fortunately many router manufacturers offer leasing and/or financing options as a way to help sign shops afford machines. Sign shops can also look into tax benefits, such as the Section 179 Deduction, which essentially allows businesses to deduct the full purchase price of qualifying equipment and/or software purchased or financed during the tax year. Shops should always consult with an accountant for full details and limitations on any deductions. When choosing a CNC router, sign companies should look for a versatile machine with a variety of cutting tools and the flexibility to cut multiple materials. Shops should carefully consider the bed size of the router as well, to be sure the processing area fits their shop’s needs; remember too much capacity can be just as detrimental as too little. “Buying too large of a machine with more capacity than needed is not cost-effective nor is the purchase of a router that turns out to have less-than-needed capacity. Buyers should seek expert advice,” says Jenkins. Planning for the future is important, but no one holds a crystal ball. If new technology is developed or your shop requires a new tooling accessory, your machine must keep pace with your changing needs. After choosing a CNC router, its placement in the shop is very important. 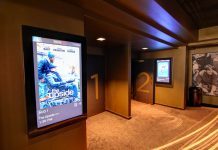 “Space required will depend on the machine size,” says Robert Marshall, vice president of Market Development for AXYZ International. “All machines will need space around them or at least space on two sides to allow for loading and unloading. A machine that is five- or six-foot wide will need at least the same amount of space on one side for safe access. Manufacturers will typically provide customers with plans and recommendations on placement. 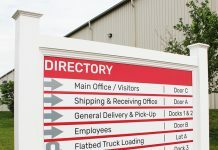 “CNC router suppliers will provide floor plans of their machines based on the process size and recommend floor space requirements based on production workload,” says Valentine. According to AXYZ, these site requirements will usually also include footprint, electrical, and air requirements. 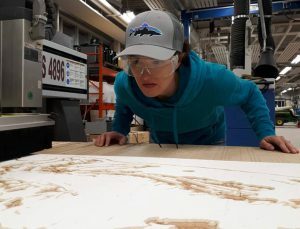 It’s ideal to install a CNC router in its own room away from sensitive equipment like digital printers, “CNC routers produce dust that can settle on the printer heads causing operational difficulties and quality issues,” says Valentine. “A router that is a productive workhorse used to its maximum capacity will pay for itself over time,” says Jenkins. Techno CNC Systems says most customers get an ROI on their machines in six to twelve months. To keep the router busy, Valentine recommends networking with other production shops (woodworking, point of purchase, general fabricators, etc.). Sign shops that may have once outsourced CNC work are now in the position to take on work as additional revenue. “Depending on the complexity of the router work, the machine can be billed out at $150- $350/hour,” says Valentine. A profitable machine is also one kept in good running order. Always check the user manual or with the manufacturer for any recommended maintenance and cleaning. Still it’s a matter of when, not if, a machine goes down. “Downtime is expensive and unacceptable for either the company or its customers,” says Jenkins. “Much of it can be attributed to time-consuming delays in securing needed parts. Photos (top to bottom): Marnie Blair; Dave Forrest.